Unequal Europe: What can we do? On Tuesday 28 April, Frank Vandenbroucke will be the key note speaker at the British Chamber’s exclusive business lunch and subsequent panel debate, ‘Unequal Europe: what can we do?’ To read more about the event and to register, please click here. Historically, the European project was synonymous with increasing prosperity and cohesion, both across member states (through ‘upward convergence’) and within member states. Until 2008 we were accustomed to increasing social and economic convergence between member states, countries lagging behind were able to catch up and the development of the welfare state was mainstreamed across all of the EU territories. However, today’s reality is different and worrying. Since 2008 we have been witnessing the opposite trend, we have seen growing inequalities within many member states, but also divergence instead of convergence, particularly between the northern and southern countries of the Eurozone: increasing gaps in GDP per capita and in employment performance, with record-high unemployment rates in southern countries, , social unrest and disillusionment in the European project as a consequence. This is extremely alarming, not only because it can cause a negative spiral of economic diversion, but because it undermines the legitimacy of the European integration project. Increasingly, we are seeing governments and electorates in the north of Europe blaming the South and vice versa. This mutual stigmatising and fragmentation within European society needs to stop if we are to steer the ship out of the recession without throwing people overboard. I recently chaired a very promising High-Level Group organised by Friends of Europe. Although its members come from very different backgrounds and hold different opinions on many questions, we shared the fundamental conviction that we can be confident about the future of our welfare states. This isn’t based on a return to the pre-crisis status quo, but on the opportunities for change that are still available. The work of this High-Level Group has resulted in a consensus report, which goes beyond the usual common places. For me this was extremely important: notwithstandingthe increasing division of opinions in Europe it is still possible to find common ground. We need to reconnect with upward convergence and not divergence, and we need to be able to convince EU citizens that it is possible to reconcile openness integration on the one hand, with social cohesion within the member states on the other hand. Europe is already confronted by three long term and inter-related challenges: ageing, its shrinking population, and a shortage of skilled labour. We have to invest in people, we have to invest in our human capital. The long term growth of prosperity is fundamentally conditioned by long term growth of productivity, which in turn depends on the development of our human capital. If you look at human capital across Europe, the disparities are huge. Moreover, there is a worrying divergence in the public effort for education. Although some EU governments have invested in education and vocational training, others have been forced to drastically cut spending on these. As a matter of fact, when public education spending in 2012 is compared with average education spending over 2004-2008, in at least seven member states, real spending is now lower on average than in the five years before the crisis; in some countries, the decrease is between 15% and 20%. Also, people from different countries with the same formal educational attainment seem to have very different levels of competencies, which means that some countries’ education need improvement and reform. Due to the recession, the EU’s economic budgetary policy coordination has undeniably exerted a strong pressure on social and education policies. In the Eurozone crisis, budgetary policies have been in the driving seat. We now have to establish strong reciprocal links between social, education, employment, budgetary and economic policies. Employment is part of social policy and macroeconomic policy. Surely that should lead to mainstreaming social policy, education and employment policies and putting them on a par with macroeconomic objectives. If we want to avoid further divergence, if we want upward convergence in prosperity and increasing cohesion between and within member states, education is absolutely key. It’s not only about throwing money at the problem, it’s also reforming education systems, and particularly providing better linkages between the world of education and world of work. I happened to be minister for both education and employment (from 2004 to 2009). I absolutely wanted to have these two domains in one political hand. I wanted to force the two side’s actors to work together, on the basis of mutual commitments, notably with regard to the relevant qualification framework and the skills to be learned at school and the quantity and quality of traineeships. We were able to define a common agenda, which translated into a number of useful initiatives. Far from saying that our policies were perfect, I nevertheless believe this should happen everywhere in Europe. The bottom-line of the report by Friends of Europe, is that the Union needs a sense of common purpose; with regard to education, common purpose implies that we push education much higher on the agenda as a budgetary priority. Also, we must make it possible for member states that are in dire straits to deliver on this. 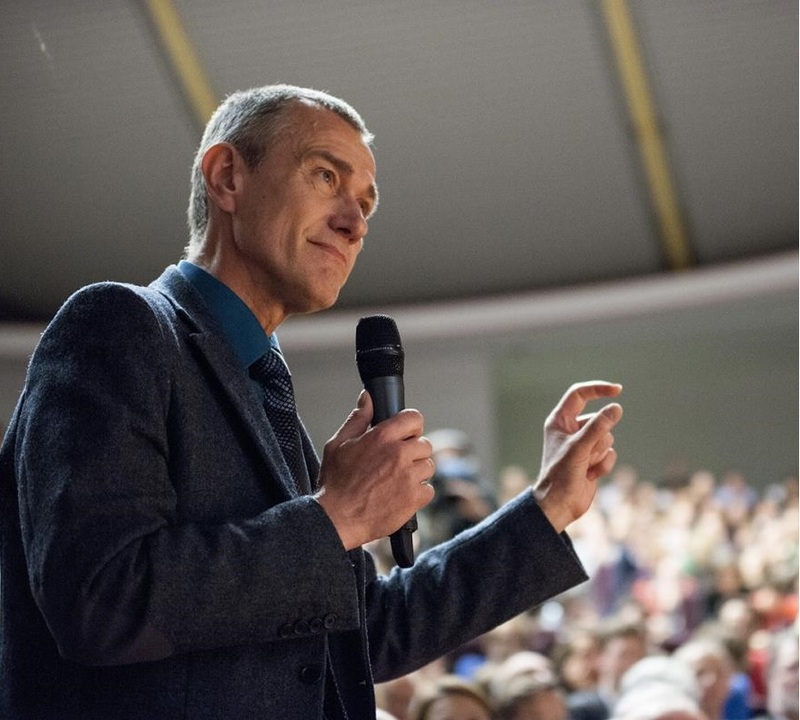 Frank Vandenbroucke holds academic positions at KU Leuven, the University of Antwerp and the University of Amsterdam. His academic interests include social systems and welfare policies, especially social developments in the European Union member states. He has previously served as Minister in a number of regional and federal Belgian governments. In February, Friends of Europe, published ‘Unequal Europe. Recommendations for a more caring EU’, as a consensus report of a working group, including both industrialists and trade unionists, which was chaired by Frank Vandenbroucke.